The visit came just over a year after a brutal ethnic cleansing campaign in Rakhine State, perpetrated by the Myanmar military, caused more than 600,000 Rohingya people to flee across the border into Bangladesh in just three months. As described in the report of the International Fact-Finding Mission on Myanmar, the military killed thousands of civilians, committed sexual violence including mass rapes, burned hundreds of villages and “established a climate of impunity for its soldiers.” The report recommended that senior members of the Myanmar military be tried for genocide and called upon the UN Security Council to refer the situation to the International Criminal Court (ICC). She didn’t say anything about the atrocities that gave rise to the humanitarian crisis that she’d visited Myanmar to see. She didn’t say anything about human rights violations, justice or accountability. 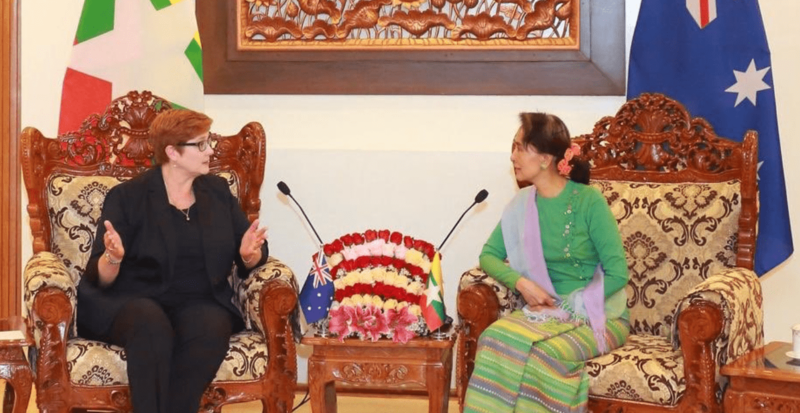 She also didn’t say anything about discontinuing Australia’s support for the Myanmar military despite considerable public pressure to do so, and she certainly didn’t say anything about the ICC. 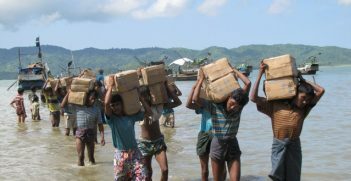 In October, British Ambassador Karen Pierce told the UN Security Council that while the situation in Rakhine was “the most egregious example of the Burmese military’s conduct”, it wasn’t the only one, and that the military was also “conducting human rights violations across the country against other ethnic communities.” She stressed the importance of sending a signal to other countries “whose governments may be tempted to take a leaf out of the Burmese military’s horrific playbook and execute such crimes on their own people”, and said that all options should be considered including referral to the ICC or to an ad-hoc tribunal. Yet in this instance, instead of condemning the Myanmar military, Australia continues to support them, to the tune of around $400,000 a year. We’re one of the only countries that does so. The US, UK, Canada, EU, France and others have cut all ties with the Myanmar military. 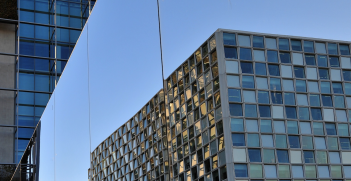 There is potential for ISIS foreign fighters captured in Syria to be tried by the International Criminal Court.